both online and through on site classes and satellite classrooms throughout the United States of America. Brookshire International Academy is dedicated to providing educational opportunities to under served populations through our many options. These options are designed to meet the needs of the student population with their unique and challenging goals Our online curriculum platform accelerates and improves the learning process as an alternative to the traditional brick and mortar school systems. Our classrooms are designed for examinations to be proctored as well as additional remediation to take place for students with additional difficulties. Brookshire International Academy focuses on providing solutions to enhance the educational experiences of students in our school as well as in schools we are partnered with. Through our license with the Fresno County Superintendent of Schools and the curriculum provided by that partnership, Brookshire International Academy allows students to recover high school credits between the 9th and 12th grades in University of California a-g Approved courses as well as additional course offerings which are designed and maintained to meet the standards correlations seen in the listings to the left All students who are in the credit recovery program are required to earn at least 25% of the required high school credits from Brookshire International Academy to receive a High School Diploma issued by Brookshire International Academy. Brookshire International Academy is a vendor to many Vocational, Technical, and other types of Post Secondary Educational Institutions in providing an Eligible Career Pathway Program for enrollees at those institutions in an effort to assist those students with their unique needs in completing their High School Education while also attending a Post Secondary Institution. All students who are in the Eligible Career Pathway Program are required to earn at least 25% of the required high school credits from Brookshire International Academy to receive a High School Diploma issued by Brookshire International Academy. We strive to give the keys of life back to our students through assisting them in completing their High School Educational Requirements to become more productive members of society. We believe that every person, regardless of race, religion, culture, or gender identity should have the right and a pathway to realize their dreams and goals. We continually strive to provide the most viable and high quality curriculum to our students to ensure they have the skills necessary to continue their education, or enter the workforce. Deﬁned as a basic human need for creative expression, people from every culture throughout history have produced art. With rigor, depth, and breadth of content and through directed assignments, this course deﬁnes formal elements of works of art in the genres of painting, architecture, and sculpture and describes art’s role in societies. Students will examine, identify, and analyze works from various artists, time periods, and religions, including pre-history, Greek, Roman, Egyptian, Chinese, Byzantine, Medieval European, Renaissance, and Baroque. This introduction to the study of art history, is aligned with the California State Content Standards for Art and Visual and Performing Arts for California Public Schools (11th-12th grades). In conjunction with Art History A, this course transitions from the traditional elements that evolved during the political and moral chaos of the pre-World War II time period into the more modern and contemporary expressions of societies’ reﬂective values in the 21st century. With rigor, depth, and breadth of content and through directed assignments relating to the study of cultures of Neoclassical French, American Pop, Asian (including Hindu, Buddhist, Japanese), African, and Islamic Modernistic Realism, students will continue to examine, identify, and analyze works from various artists and may better comprehend the more recent societal periods, including Romantic, Enlightenment, Revivalist, Post-Impressionist, Symbolic, and Avant-Garde. Additionally, this course will provide students with an awareness of art-related career ﬁelds that they may pursue. As an exciting and vibrant means of communication with unique culture and heritage, ASL is recognized as its own language with its own syntax and presentation that may be taken beyond the classroom and applied to many areas of a student’s life, including the work world and personal activities. Designed to present American Sign Language (ASL) essential tools for clear communication and to encourage students to foster relationships with people who use ASL as their ﬁrst language, this course is not meant to be an interpretation of word-for-word English (called Signed Exact English) but rather a language that is expressed through the hands, face, and body and that is then perceived through the eyes. A visual and gestural language, ASL carries as much information as an oral and aural language, just in a diﬀerent manner. Each Unit explores a diﬀerent aspect of American Sign Language, including ﬁngerspelling, basic signs, syntax, and other related elements. The information presented in each Unit is meant to not only increase the language, reading, and content area skills of students but also to encourage students to develop and use their signing skills for communication within their own communities. As students learn in the ﬁrst semester of this course, learning a language other than English can open doors to business and personal interactions that might otherwise remain closed. Designed to present essential tools for clear communication and to encourage students to foster relationships with people who use ASL as their ﬁrst language, this course is not meant to be an interpretation of word-for-word English (called Signed Exact English) but rather a language that is expressed through the hands, face, and body and that is then perceived through the eyes. A visual and gestural language, ASL carries as much information as an oral and aural aspect of American Sign Language, including ﬁngerspelling, basic signs, syntax, and other related elements. The information presented in each Unit is meant to not only increase the language, reading, and content area skills of students but also to encourage students to develop and use their signing skills for communication within their own communities. English 1A introduces students to various concepts of the study of language and presents strategies that will help students learn how to become successful readers, writers, and thinkers. Students will gain experience with ﬁction, nonﬁction, short stories, drama, historical literature, technical and informational texts, oral communication, the Writing Process, grammar and mechanics, and critical thinking and analysis. Students are asked to read and analyze major literary works such as Dance Hall of the Dead, by Tony Hillerman, and Sunrise Over Fallujah, by Walter Dean Myers. Through directed reading and writing, students focus on the mechanics of language, vocabulary development, and evaluate recurring patterns and connections within the literature presented. Students engage in several writing assignments and oral presentations that include narrative, expository, persuasive, and descriptive essays which demonstrate proﬁciency in drafting, editing, revising, and research skills. Questions and activities are designed to engage higher order thinking processes and provide opportunities for practical applications. presented. Students engage in several writing assignments and oral presentations that include narrative, expository, persuasive, and descriptive essays which demonstrate proﬁciency in drafting, editing, revising, and research skills. English 2A introduces students to various concepts of the study of language and presents strategies that will help students learn how to become successful readers, writers, and thinkers. Students develop their reading, language, analysis, and critical thinking skills through the study of a variety of perspectives and genres. Students read selected short stories, mythology, poetry, historical literature, speeches, folklore/legends, novels, and nonﬁction, as well as material that addresses the research process, oral communication, and the Writing Process. Students will also read full-length texts like Of Mice and Men, by John Steinbeck. Through directed reading and writing, students focus on the mechanics of language, vocabulary development, and evaluate recurring patterns and connections within the literature presented. Students engage in several writing assignments and oral presentations that include narrative, expository, persuasive, and descriptive essays which demonstrate proﬁciency in drafting, editing, revising, and research skills. presented. Students engage in several writing assignments and oral presentations that include narrative, expository, and persuasive essays which demonstrate proﬁciency in drafting, editing, revising, and research skills. In conjunction with English 3A, English 3B introduces students to various concepts of the study of language and presents strategies that will help students learn how to become successful readers, writers, and thinkers. Students develop their reading, language, analysis, and critical thinking skills through the study of a variety of perspectives and genres. Students read selected short stories, American literature, poetry, historical literature from a variety of diﬀerent cultures, drama, speeches, novels, memoir, and nonﬁction, as well as material that addresses the research process, oral communication, and the Writing Process. Students will also read full-length texts like Huckleberry Finn, by Mark Twain, and I Know Why the Caged Bird Sings, by Maya Angelou. Through directed reading and writing, students focus on the mechanics of language, vocabulary development, and evaluate recurring patterns and connections within the literature presented. Students engage in several writing assignments and oral presentations that include narrative, expository, and persuasive essays which demonstrate proﬁciency in drafting, editing, revising, and research skills. English 4A introduces students to various concepts of the study of language and presents strategies that will help students learn how to become successful readers, writers, and thinkers. Students develop their reading, language, analysis, and critical thinking skills through the study of a variety of perspectives and genres. Students read selected letters, American literature, historical literature from a variety of diﬀerent cultures, nonﬁction and informational texts, as well as material that addresses the research process, rhetoric and oral communication, and the Writing Process. Students will also read full-length works like Bless Me, Ultima, by Rudolfo Anaya. Through directed reading and writing, students focus on the mechanics of language, vocabulary development, and evaluate recurring patterns and connections within the literature presented. Students engage in several writing assignments and oral presentations that include narrative, expository, and persuasive essays which demonstrate proﬁciency in drafting, editing, revising, and research skills. In conjunction with English 4A, this course continues to present students various concepts related to the study of language and oﬀers strategies that will help students learn how to become successful readers, writers, and thinkers. Students develop their reading, language, analysis, and critical thinking skills through the study of a variety of perspectives and genres. Students read historical documents from various cultures, American literature, poetry, drama, speeches, nonﬁction and informational texts, as well as material that addresses the research process, rhetoric and oral communication, and the Writing Process. Students will also read full-length works like Hamlet, The Light in the Forest, and A Bintel Brief. Through directed reading and writing, students focus on the mechanics of language, vocabulary development, and evaluate recurring patterns and connections within the literature presented. Students engage in several writing assignments and oral presentations that include narrative, expository, and persuasive essays which demonstrate proﬁciency in drafting, editing, revising, and research skills. This course is designed to introduce students to various concepts related to the study of critical reading, writing, and analysis. Students focus on the rhetorical, grammatical, and syntactical patterns of language and the Writing Process, with emphasis placed on how to write with intent and command over purpose, audience, ethos, and message. Each Unit includes concepts that build upon one another; early Units focus on grammar and mechanics, sentence and paragraph construction, etc., and later Units focus on the rhetorical framework (purpose, audience, ethos, message) and how to utilize it when critically analyzing texts or writing their own. Throughout the course, students practice a variety of diﬀerent types of structured essay writing and by the end of the course, students demonstrate proﬁciency in drafting, editing, revising, critical analysis, rhetorical structure, and research skills. In this course, students review Pre-Algebra skills (including variables, expressions, order of operations, and equations) and the fundamentals of the language of mathematics. As students progress through the course, they will study concepts like sequences and their graphs, independent and dependent relationships, how to simplify and solve equations and functions, monomials and polynomials, factorization, exponential graphs and functions, etc. Much of the course covers abstract relationships and their manipulations, but it also involves algebraic thinking and the application of these skills to word problems and real life situations. Problems are designed to engage higher order thinking processes in a collaborative environment and provide opportunities for practical applications of the concepts developed within the course. Students have the opportunity to develop and utilize analytical skills, think critically, develop logical thought processes, and make valid inferences. In conjunction with Algebra A, this course shows how algebraic skills are applied in a wide variety of problem-solving situations and, in seeing the larger picture and in understanding the underlying concepts, students will be in a better position to apply their knowledge to new situations and problems. As students progress through the course, they build on skills from Algebra A and study linear functions, slope, solving and graphing systems, square roots, quadratic equations and functions, inequalities, absolute value, statistics, etc. Problems are designed to engage higher order thinking processes in a collaborative environment and provide opportunities for practical applications of the concepts developed within the course. Students have the opportunity to develop and utilize analytical skills, think critically, develop logical thought processes, and make valid inferences. In Geometry A, students begin by studying the basic essentials of geometry including points, lines, planes, angles, segments, geometric ﬁgures, patterns, logic, and reasoning. As students progress through the course, they will study concepts like parallel and perpendicular lines, coordinate geometry, translations and constructions, triangles, congruency and similarity, reﬂections and symmetry, ratios and proportions, etc. Students also cover a variety of statistical concepts and applications. Problems are designed to engage higher order thinking processes in a collaborative environment and provide opportunities for practical applications of the concepts developed within the course. Students have the opportunity to develop and utilize analytical skills, think critically, develop logical thought processes, and make valid inferences. In Geometry B, geometric skills are applied to a wide variety of problem-solving situations and, in seeing the larger picture and in understanding the underlying concepts, students will be in a better position to apply their knowledge to new situations and problems. As students progress through the course, they build on concepts covered in Geometry A and study trigonometry, sine and cosine, polygons, proofs, circles, perimeter, surface area, volume, etc. Students also cover a variety of statistical concepts and applications. Problems are designed to engage higher order thinking processes in a collaborative environment and provide opportunities for practical applications of the concepts developed within the course. Students have the opportunity to develop and utilize analytical skills, think critically, develop logical thought processes, and make valid inferences. In Algebra 2A, students build on mathematical concepts learned in Algebra and Geometry by extending their knowledge through the study of functions and their graphs (polynomial, rational, radical, quadratic, exponential, and logarithmic), performing operations on and factoring polynomials, solving rational functions, solving radical functions with imaginary and complex numbers, etc. Problems are designed to engage higher order thinking processes in a collaborative environment and provide opportunities for practical applications of the concepts developed within the course. Students have the opportunity to develop and utilize analytical skills, think critically, develop logical thought processes, and make valid inferences. In Algebra 2B, students build on mathematical concepts learned in Algebra 2A and study solving quadratic equations with real and complex roots, solving and graphing exponential and logarithmic functions, modeling (linear, quadratic, and exponential), solving and graphing trigonometric functions, and probability and statistics. Problems are designed to engage higher order thinking processes in a collaborative environment and provide opportunities for practical applications of the concepts developed within the course. Students have the opportunity to develop and utilize analytical skills, think critically, develop logical thought processes, and make valid inferences. Integrated Math 1A is designed to assist high school students with the development of skills related to the structure and logic of mathematics, and introduces concepts related to: algebraic expressions and equations; properties, equations, and graphs of function families; linear equations and inequalities, identifying, evaluating, using, and graphing both linear and nonlinear functions, sequences, linear functions, slope, and systems of linear equations and inequalities. This course also covers a variety of statistical concepts and applications (independent and dependent variables, standard deviation, data distribution, frequency tables, data analysis, etc.). Problems are designed to engage higher order thinking processes in a collaborative environment and provide opportunities for practical applications of the concepts developed within the course. Students have the opportunity to develop and utilize analytical skills, think critically, develop logical thought processes, and make valid inferences. In Integrated Math 1B, students continue to build on skills covered in Integrated Math 1A and study exponential functions, inverse functions, the basics of geometry, proving parallel and perpendicular lines, translations and constructions, triangle theorems, congruency, etc. This course also covers a variety of statistical concepts and applications (correlations and linear analysis, probability, the complement rule, the special rule of multiplication, etc.). Problems are designed to engage higher order thinking processes in a collaborative environment and provide opportunities for practical applications of the concepts developed within the course. Students have the opportunity to develop and utilize analytical skills, think critically, develop logical thought processes, and make valid inferences. Biology A presents students with a wide variety of information, activities, and experiences related to major areas of study in the ﬁeld of Biology. The standards-based topics include the study of ecology and ecosystems; cell biology and the fundamental life processes of plants and animals; human physiology including structures, the immune system, and organ systems; and genetics, including mutation, reproduction, DNA, genetic changes, and forensics. In addition, students conduct research, investigations, and experiments, and as well as video demonstrations of wet lab activities. In conjunction with Biology A, Biology B presents students with a wide variety of information, activities, and experiences related to major areas of study in the ﬁeld of Biology. Standards-based topics include the study of ecology and ecosystems; human physiology including structures, the central and peripheral nervous systems, and sensory structures and functions; asexual and sexual reproduction in plants and animals; genetic diversity, biotechnology, cloning; Earth Science (fossils, atmosphere, extinction and survival, etc.) and global climate change and ecology. In addition, students conduct research, investigations, and experiments and complete video wet lab activities. This course is designed to introduce students to the qualities and processes of the physical world. Students study information related to light, energy, electricity, sound, and pressure, and demonstrate their understanding through various activities that encourage critical thinking and analysis, journal entries, and writing assignments. The course includes both small experiments and longer investigations requiring formal lab reports, as well as cross-curricular information from various other subjects like mathematics, history, ethics, and literature. This course continues to build on the concepts presented in Physical Science A. 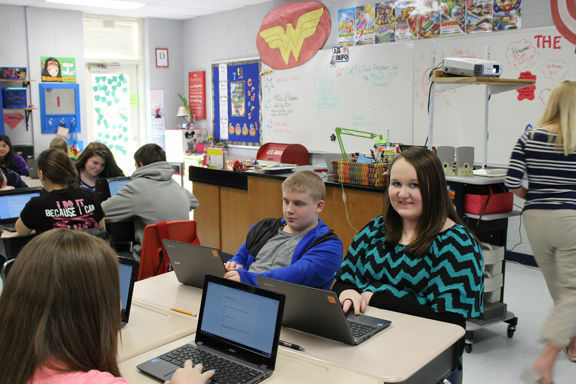 Students study matter, elements, mixtures, chemical reactions, motion, and technology, and demonstrate their understanding through activities that encourage critical thinking and analysis, journal entries, and writing assignments. The course includes both small experiments and longer investigations requiring formal lab reports, as well as cross-curricular information from various other subjects like mathematics, history, ethics, and literature. The purpose of this course is to introduce students to the basic concepts, principles, and methods of science by using an integrated approach. Students study concepts like cells, the basic building blocks of life, systems that produce a functioning organism, Newton’s Laws of Motion, weather, climate, the Earth’s atmosphere, biomes, etc. This course exposes students to concepts in chemistry, physics, Earth science, and biology. In conjunction with Integrated Science 1A, students continue to study concepts like cell function and reproduction, the movement of the Earth’s crust, earthquakes, volcanoes, plate tectonics, geologic time, the structure of atoms, the periodic table of elements, the bonding of atoms to form molecules, electricity, magnetism, and the electromagnetic spectrum. Students also study the natural history of California and are exposed to concepts relating to chemistry, physics, Earth science, and biology. This course teaches the student how organisms interact with the environment, and with each other, and how they adapt to ﬁt into their environmental niche. This course teaches students about the human eﬀect on the environment, the consequences of population growth, and the eﬀect of toxic wastes. Survival skills are also included. U.S. History A and B is a comprehensive study of the United States, beginning with vanishing frontier and the movement westward during the late 1800s, the Civil War, the rise of industry, World War I, the turbulent twenties, and the Great Depression. Students trace the change in the cultural demographics of American society, the movement toward equal rights for racial minorities and women, and the role of the United States as a major world power. Students also build upon their ability to read, understand, analyze, and write about historical texts and documents. In the second semester of US History, students study World War II, postwar America, equality and justice, and searching for new values in changing times and in a changing world. Students continue to trace the change in the cultural demographics of American society, the movement toward equal rights for racial minorities and women, contemporary challenges facing the U.S. (terrorism, climate change, immigration, etc. ), and the cultural and social impact of the emergence of new technology within the global marketplace. Students also build upon their ability to read, understand, analyze, and write about historical texts and documents. This course introduces students to the study of American government and democracy. Students will analyze the history and changing interpretations of the Constitution and the Bill of Rights, examine the current state of the legislative, executive, and judiciary branches of government, and analyze the relationships among federal, state, and local governments. Students will trace the emergence of the United States as a world power and examine the major social problems and tensions: majority rule and individual rights; liberty and equality; state and national authority in a federal system; civil disobedience and the rule of law; freedom of the press and the right to a fair trial; and the challenges facing the government today. Students also build upon their ability to read, understand, analyze, and write about historical texts and documents. This course provides students with an understanding of fundamental economic concepts and principles. Students will be able to recognize, analyze, and understand economic terms and concepts as well as interpret data and draw conclusions about possible solutions. Major topics within the course include production, supply and demand, economic systems, market types and market equilibrium, economic and business cycles, business structures and organization, monetary and ﬁscal policy, income and taxes, price index, personal economics, the role of government in the economy, and international trade. Students are required not only to master the essential components of Economics, but also to understand and articulate (in writing, verbally, and visually) about economics in general, the dynamics that drive the marketplace, the outside forces that can stimulate or depress the economy, and the global economic system in which they live. This course provides a comprehensive study of the history of the world, beginning with the foundations of civilization and Western democracy, and including concepts related to the Middle and Medieval Ages, the Renaissance, the Enlightenment, the English Civil War, the American Revolution, the French, Latin American, and Russian Revolutions, exploring both cause and eﬀect of major historical events within each time period. Students also build upon their ability to read, understand, analyze, and write about historical texts and documents. In World History B, students continue where World History A concluded and study the reign of diﬀerent key monarchs, imperialism, the industrial revolution, various nationalist movements that spread throughout Europe, detailed accounts of World War I, World War II, the Cold War, etc. Students also explore the eﬀects of these major events on various countries in the world, the spread of democracy vs. communism, nuclear arms, the struggle for peace, globalization, the technological revolution, and the social, political, and economic advantages and challenges of an increasingly interconnected modern world. Students also build upon their ability to read, understand, analyze, and write about historical texts and documents. This course provides students with an introduction to Sociology as a scientiﬁc approach to understanding culture and society. Students will explore the tools, research and methods used to observe and understand human behavior and various perspectives. Students will discover how sociologists conduct research, their major ﬁndings on substantive topics, and will be able to deﬁne and apply fundamental concepts in sociology such as norms, sanctions, culture, society, status, role, class, gender, ethnic group, stereotype, discrimination, prejudice, and inequality. This course covers wellness, nutrition and healthy eating, individual growth and development, family living skills, infectious and non-infectious diseases, drug, alcohol, and tobacco use and abuse, consumer and community health, safety ﬁrst aid, environmental health, etc. Since the course discusses drug abuse, the human reproductive system, and sexually transmitted diseases, etc. Relationships with family, friends, and the world continue to change as children move through adolescence to adulthood. This course will better prepare students to make healthy decisions as they cope with life’s changes and to acquire meaningful skills that will help them navigate the sometimes diﬃcult situations they might encounter and to improve the quality of life in general. This course is designed around the California State Standards for Economics and Career and Technical Education. Upon completion, students will be familiar with consumerism, their role as consumers in today’s economy, and fundamental principles of economics related to personal and household ﬁnances including budgeting, credit, shopping, and banking. This course provides students with opportunities to explore career pathways and prepare for successful jobs in a global marketplace. This course is designed to give students tools to help them learn information faster, understand information better and retain information longer. The tools in this course can be used in any subject in high school and beyond. Each unit of this course uses a variety of study skills and techniques to help prepare students for reading textbooks, studying for quizzes and tests, and improving reading and memory skills. In this course the focus moves from academic situations covered in Learning in the Information Age A to real-world situations. Students are given basic information about various topics including banking and postal services, government resources such as social security and taxes, the U.S. political system and voting, technology like the Internet and email, and the employment process. The information is presented in a variety of ways with ample opportunity for practicing applications and essay writing. We believe in instilling responsibility and ethical behavior in our students by instilling the importance of following directions as well as the rules and regulations of Brookshire.